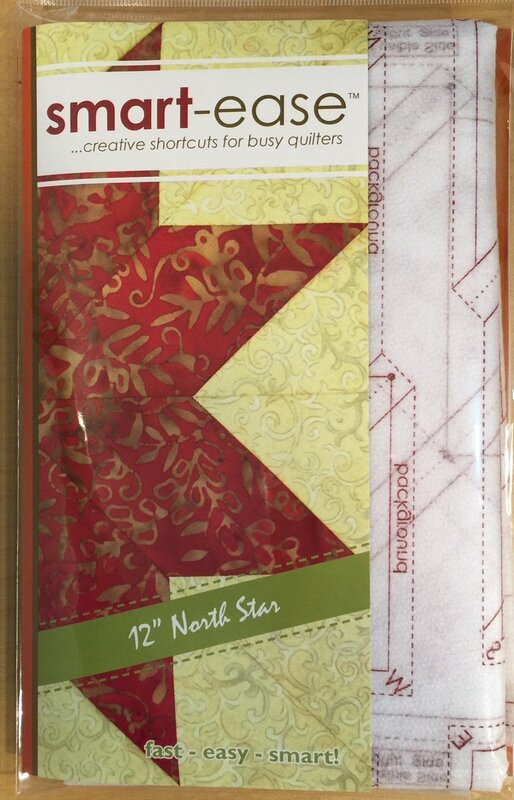 North Star is a perfect addition to your quilt and SO EASY! Use these blocks in a sampler quilt, or across a row in a row quilt. They make nice corner blocks too! Or use them all together as we did in our Bed Runner. Use for any finished 12" star block! Comes in a 6" x 9" pack with 2 panels of interfacing & instructions to make a total of (6) 12" finished stars.